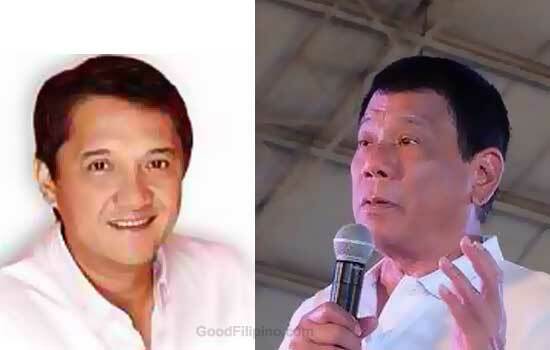 The businessman and the son of the of the late banana magnate Antonio Floirendo Sr. can't hide no more his support to the president-elect Rodrigo Duterte. Davao del Norte Rep. Antonio 'Tonyboy' Floirendo Jr. made the biggest donation to Duterte’s campaign funds. Tonyboy said that his support worth of Php 75 Million was his "brotherly love" for President-elect Rodrigo Duterte. He said in his statement, "Beyond the millions of pesos, it was my brotherly love to President-elect Rodrigo Duterte that prompted me to support his candidacy." "This was also the reason why I had to back out of my support for VP (Vice President) Jejomar Binay which the good outgoing vice president understood well," Floirendo added. Somehow, the businessman which was in Paris right now, wanted to secret his support for the incoming president Rodrigo Duterte, but he cannot do it because of the mandate of the law. Tonyboy said that his contributions should, "be incognito but because the law mandates it to be made public for transparency purposes, I submit to the mandate of the law." He also mentioned that all of his support doesn't need favor in return. "But I would like to express that all of the millions I have donated to Duterte are without any strings attached, so to speak," he said, then followed that it was his "humble contribution, first, as a ‘brother’ and an ardent supporter." "Second, as a fellow Mindanaoan who saw in President Rody the man who could make it all happen for Mindanao," Davao Del Norte Rep. Floirendo added. Lastly, he boldly said, "I believe he will do what he promises. I believe in him. He is a no-nonsense person." Do you agree with Davao del Norte Rep. Tonyboy? Please point your thoughts below. Comments or suggestions about "'Tonyboy' was forced to reveal donation amount for Duterte’s campaign funds" is important to us, you may share it by using the comment box below.